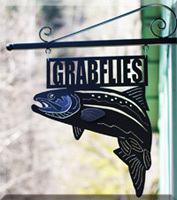 Grabflies.com re-designed the famous Woolly Bugger for Steelhead. Tied on a shank with a trailing hook - this keeps the fly omnidirectional (looks the same from all angles). 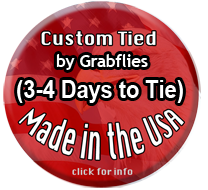 Also stops the Marabou tail from wrapping around the hook. This design the Marabou tail is wrapped like hackle centering the hook in the middle of the hackle and allowing the fly to have more action.